There’s no denying the issues surrounding transgender individuals, aka born in the wrong body, are both topical and complex. Children may not understand all the nuances or possibly even the physical implications, but they will easily identify with the feeling of being different. In this celebrated and widely read story of a fourth grader born in a boy’s body, Alex Gino gently presents George’s many struggles and feelings. 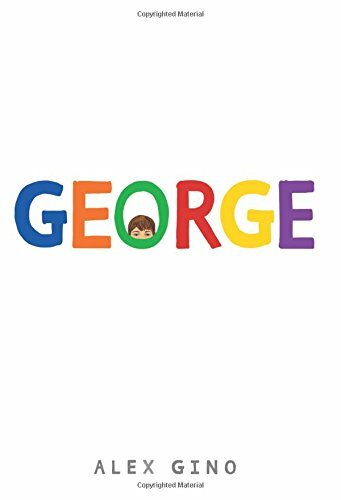 Even though George has heard all the news stories, she still feels isolated, as if she is the only person in the world who is called a boy and knows she’s a girl. Eventually, she finds the courage to share the fact that she is a girl. She is lucky to have many people around her who understand, once they recover from their initial shock. All of this is set in the realistic backdrop of an elementary school presentation of a play based on Charlotte’s Web. George wants to play Charlotte, but can’t because she’s a boy. Third graders can handle the language and independent reading, but there are many reasons to read this with parents or well-informed teacher. Adults will want to discuss with kids what gender identity means and whether it is static. At any rate, George gives everyone a lot to talk about. “Ben thought Buster was the best dog in the world,” but his parents weren’t so sure. 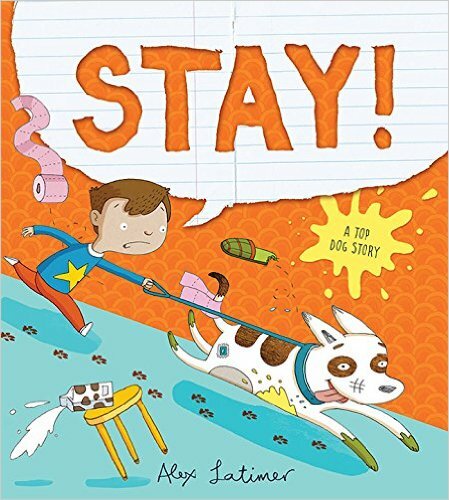 Ben’s parents want to go on vacation, but they’re not so sure they want Buster to come along. So Buster is to be left with Ben’s grandfather. In order to make sure Buster is safe, Ben writes instructions for his grandfather. The problem is, Ben keeps thinking of more instructions and has to keep sending postcards and notes. Another problem is that Buster is not always a good dog, so the grandfather takes it upon himself to make Buster behave. Naturally, he ends up making notes for Ben. Buster even learns not to attack mailmen. Buster gets to go on the vacation the next time, but he still can’t behave all the time. Not all the time, anyway. The humorous illustrations are often dominated by the notes, cards, and maps about Buster’s world. Who knew a dog could cross its legs when it needs to go outside? Third graders will learn a lot about pets and about family while practicing their literacy skills. 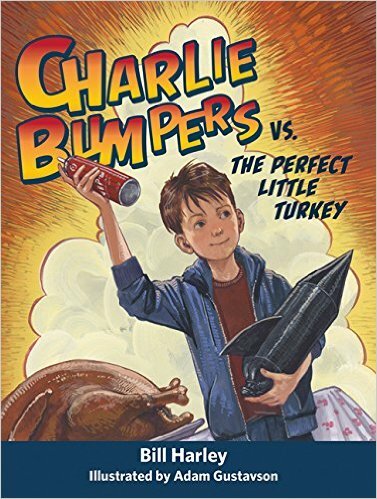 This would also be a good read aloud with younger children for practicing those skills and laughing about Buster’s antics. Who would have thought a man who taught himself to read could come up with such beautiful poetry? While selling his master’s fruit at a university, George’s use of language caught the attention of college students. The students commissioned him to write love poetry for them, helped him learn to write, and to learn about literature and history. 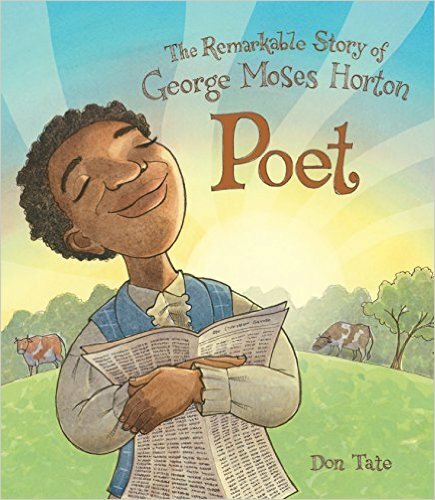 George paid his master to let him write full time and eventually published a volume of poetry, The Hope of Freedom. His master refused to let him buy his freedom outright, though. Eventually, the Emancipation Proclamation brought an end to his servitude and George moved west with the army. Horton’s is an important story that should be covered in literature and in history. The Civil War was fought by human beings about human beings. Horton took great risks seeking his freedom. After he published his first volume of poetry, North Carolina outlawed speaking out against slavery and also outlawed teaching slaves to read and write. After that, Horton restricted himself to non-political poetry. 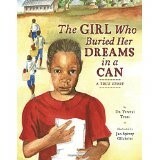 He also published an autobiography, used by the author of this book. Tate’s illustrations help to bring the poet’s story to life. 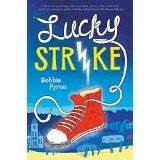 This could be read aloud in a classroom to stimulate discussion. Third graders will practice their literacy skills while learning about interpersonal relations and what families can mean. There are plenty of wonderful illustrations to add to the fun. “Achieveable,” Really? Girls going to school? Not born in Zimbabwe during the war. Then girls rarely got to attend school. Only after she grew up and had children of her own was Trent encouraged by the women of her village to learn to read. They needed her to read letters from their faraway husbands. This beautifully illustrated story is based on the true life experiences of Dr. Tererai Trent, who now hold many degrees and is an advocate for learning and education world-wide. Traditional values, beliefs and thatched roofed homes are described and illustrated in this full color book. Teachers, librarians, and reading specialists will fulfill core curriculum standards in geography, history, and literacy by using this book with grade three readers. It also highlights the good possible accomplished by just one person in advocating and supporting education. While Trent dreamed of education in Zimbabwe, it became a reality in America, as she explains in the body of the text as well as in her author’s notes. As mobile phone users get younger and younger, the devices are used for more and more fun ideas. With the advent of celebrity selfies and many apps, kids know about all the ideas even before they have their own phones. This is the story of a young girl who gets a hand-me-down from her brother and feels compelled to take selfies while doing everything she does. When her mother suggests taking photos of other things, she decides dubs them elsies. And she takes many elsie-selfies. 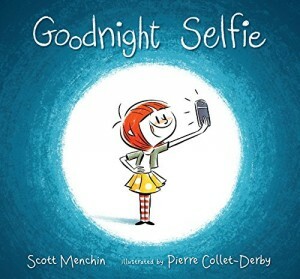 Of course, she doesn’t want to go to bed, and takes one more selfie – a goodnight selfie. 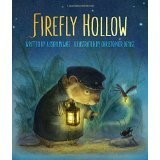 The illustrations add a lot to the story, especially given that the story is about illustrations. The cute quality captures the whimsical nature of selfies. This is a fun read aloud for younger children, with whom parents and teachers can discuss the importance of not focusing only on oneself. Third graders may even have their own phones and can read independently about fun things to do with those phones. 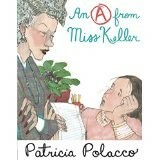 Teachers from childhood have given Patricia Polacco several good stories. In this one, readers find out how Patricia came to be a writer. She was chosen to attend a special class with the best writing teacher, but her reputation as killer Keller for her difficult disposition, made going to class frightening. Miss Keller only wanted one thing from her students. Perfection. She never gave anyone an A.
Patricia found the required perfection when she wrote about her beloved neighbor, Pop. She found her way to express love on paper. Her narrative essay was so true to life, poor old killer Keller had no choice but to give it an A. Which is exactly what Polacco fans will do with this new addition to their collection. Teachers, parents, librarians and grade three readers, in particular, will adore this story and use it well in meeting all the standards of core curriculum for English, reading, art, and life. Extras: Included is an author’s note explaining the importance of the main characters in her own past.